As people age, they often begin looking for comfortable and affordable option for senior living options. 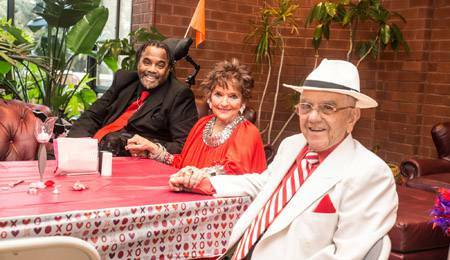 However, quality and affordable senior housing in Essex County NJ can be hard to come by. Sure it's possible to find quality or affordability, but it's not often that you find both in the same place. You don't need to worry, First Montclair House is here you. 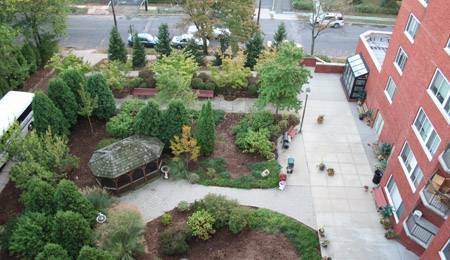 First Montclair House is a warm, friendly, 131- unit apartment building located in the heart of Montclair, NJ. We offer HUD-subsidized senior housing in Essex County NJ, which ensures afforability for those who would otherwise have difficulty affording such a high standard of living during their senior years. We work hard to esnure that, as our motto states, "life is good" for each and every resident. First Montclair House's dedicated staff goes to great lengths to ensure that our residents can enjoy daily activities that suit their passions. First Montclair House is owned by a nonprofit organization. We have an on-site Superintendent, Social Service Director, Activities Director and a Full-time Management and Maintenance Staff to assist and attend to our residents. First Montclair House has one-bedroom, two-bedroom and studio apartments options. Our residents can enjoy a stroll in our courtyard garden, movies in our community room, participate in our exercise programs and more. We are a short distance from the arts, culture and cuisine of Montclair's vibrant downtown. We also offer daily trips around Essex County to shop, dine, and other activities, as well as offer extended trips to Washington DC, the Poconos and more. We at First Montclair House believe our residents deserve a community that treats them with respect and compassion. Or, as we like to say, "life is good" over here. If you are looking for senior housing in Essex County NJ or want to know more about First Montclair House, call us at (973) 746-0895.